ZineWriMo 2018 – day 1! Inktober just ended yesterday and today is ZineWriMo day 1! 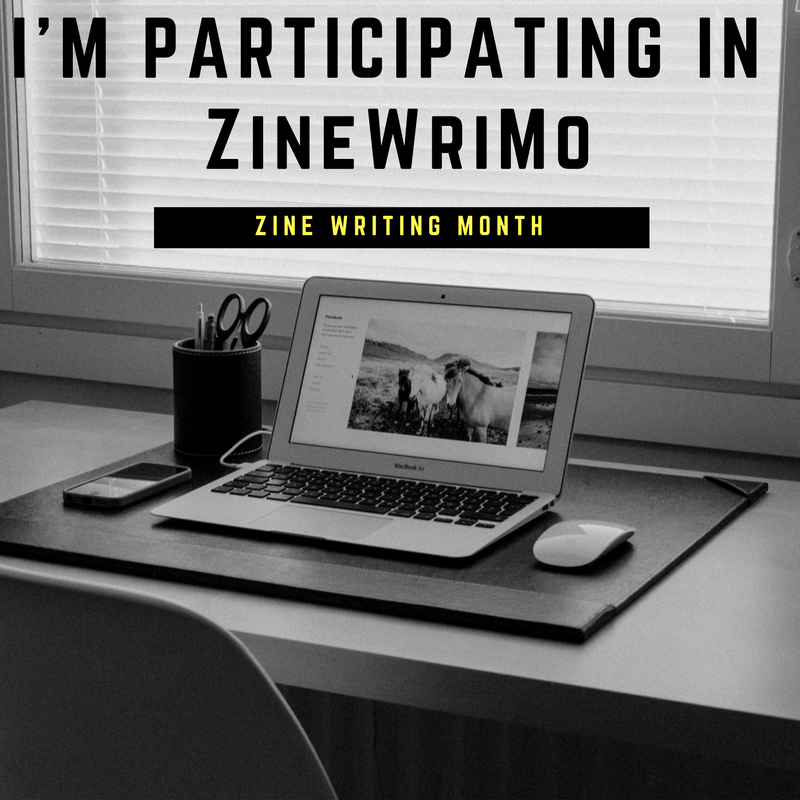 ZineWriMo stands for “zine writing month”, a month dedicated to making zines. I wrote a bit about my plans for November here. According to Sea Green Zines’ list of prompts, today can be used to do some brainstorming. So that’s what I’m going to do, as well as start with some actual zine-making. I have a long holiday weekend ahead starting today, so time for creative stuff! and I’d like to contribute to a few zines too! Phew! Today I’m working on Guitarrr #2. I started making it during a zine workshop I did at Le Garach in Namur. See photo on the left. Guitarrr #1 was made about a half year ago but I forgot to mention some things and have learned some new things in the meantime (I’m still learning as I probably always will). I’m no guitar expert or music teacher but I’d like to share what I know to demystify guitar (and bass) playing and encourage – especially – more women and girls to pick up a guitar or bass (or any other instrument) and start a band! And while we’re talking about making your own music, why not check out these song-writing videos by Vinyldyke Records? 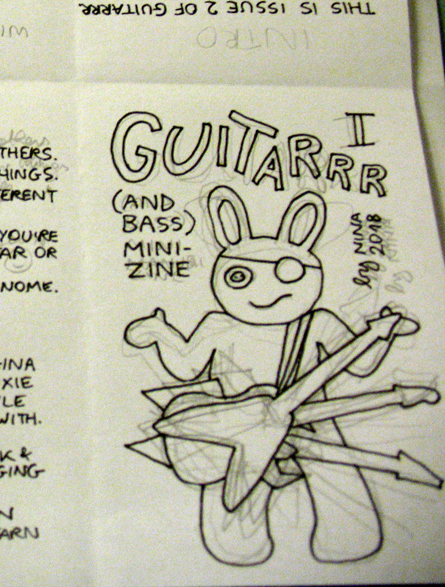 This entry was posted in zinewrimo and tagged guitarrr, zinewrimo2018. Bookmark the permalink. 2 Responses to ZineWriMo 2018 – day 1! Woohoo! So many zine plans. I love your Inktober picture, too. 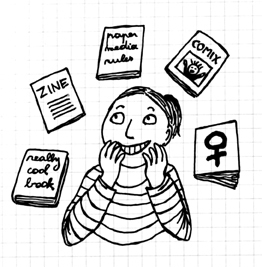 ^_^ That’s pretty much me whenever I get around my zines. Hahaha.